Every now and then you find a remarkable innovation that you wish you heard of sooner. If you realize it’s taken society a while to realize its value you may feel slightly cheated. If more people saw its worth earlier, you could have experienced the benefits sooner. This is how you may feel when you get onto your first balance board. 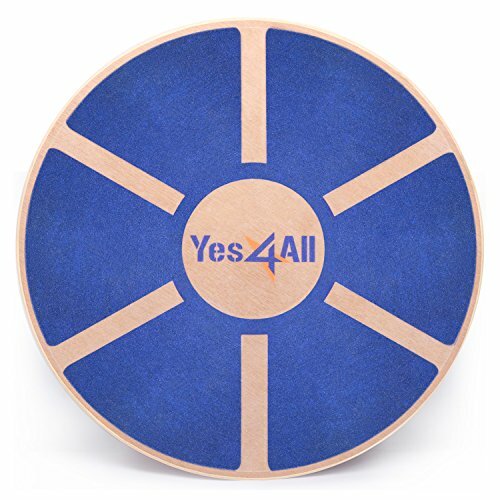 Although balance boards have been part of medical treatments such as physiotherapy for quite a while, it’s only in recent years that the general public have started using them. Luckily you can now find a whole range and we reviewed some if of the best examples to help you pick the best one for you. 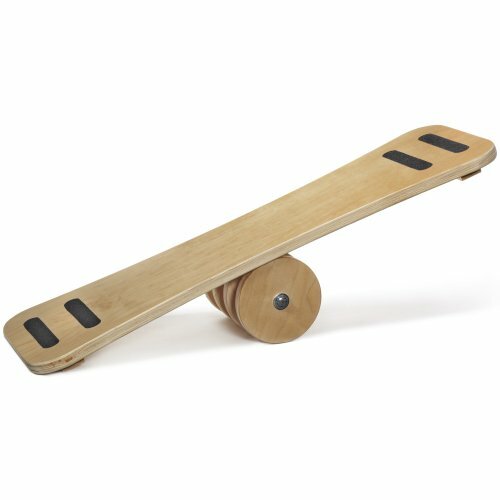 What is a Balance Board? While you’ll find many different designs this device is in essence a board you stand on and you need to keep your balance on while it moves. It’s set on top of a fulcrum or other accessory. While you try your best to stay in control you work certain muscles and increase your balance ability. This is not something just specifically for athletes as the results are beneficial to anyone’s lifestyle. These benefits affect general life but also help athletes—even swimmers—perform better. 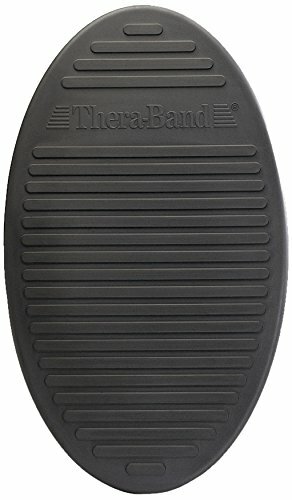 To cater to all types of users you can get a variety of balance boards. For example a rocker board simply rocks back and forth while wobble boards have unique fulcrums—such as domed ones—below the boards that allow for movement in more directions. Now let’s look at which one is best for you. With this balance board you have a solid wood unit with non-slip surfaces on top. This makes for easy balance but also makes it safer for beginners to use. At the bottom is a plastic fulcrum that’s fitted to the board. This is slightly easier to keep balance on than loose fulcrums so this is relevant for beginners and advanced users. It’s a wobble board that will allow up to 15’ tilt and you have a 360° rotation. 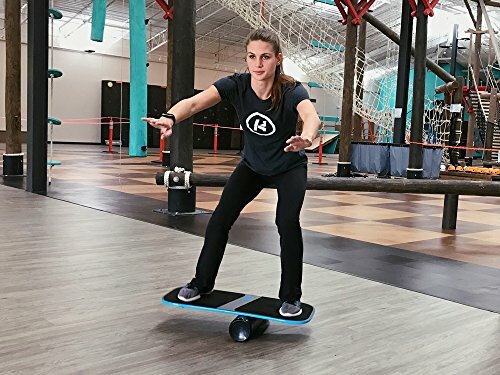 It’s essentially for balance training while it’s also one of the best balance boards for core strength options. The board is available in five different designs so you can match this to your current gym gear if you want. It’s quite light which makes it portable whether you want to take your gym equipment with you when you travel or you simply want to have equipment you can easily put in storage when you’re done. Because the fulcrum is plastic you can even use it outside without damaging the board. 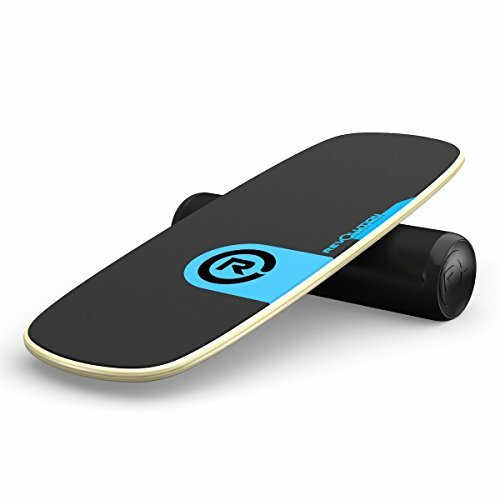 Here we up the stakes with a rocker roller board that has an unattached fulcrum. This is a fitness balance board more appropriate for advanced users. This design doesn’t include tracks or grooves which allows you freedom to move as you wish. It’s handy if you want to target a certain muscle in your body with a specific exercise. The only limiting factors are the roller stops but these will help less experienced users to get used to it quicker. It gives you some sense of control. The surface is quite comfortable thanks to dura soft traction substances. 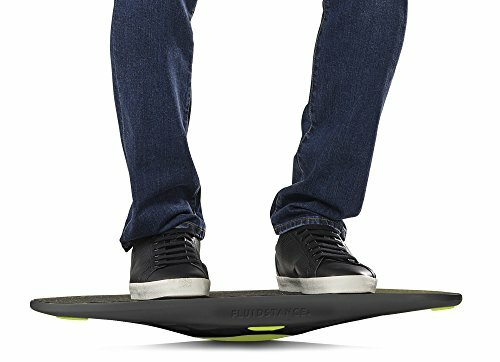 You can even use this balance board without shoes. The compact size makes it portable but also enables younger users to still stay in control. Just note that it’s slightly heavier than some other boards on this list. Another rocker roller board comes from Carrom. This one is more affordable than the previous item we reviewed, and you still get the chance of picking from four different designs. When you look at the elongated design you’ll see it’s made with certain sports in mind such as skiing, surfing, skate boarding and snowboarding. If you want to get better in one of these sports this is a handy tool. The size of the surf balance board allows you to even use it while kneeling or sitting which makes it quite versatile. It’s important to realize you can easily hurt yourself using a balance board and this one should be off limits to anyone younger than 13. Your only sense of control comes from slim anti-skid strips on the edges of the board and the grooves where the board and the roller connect. Unfortunately, this roller design needs improvement as it doesn’t always promote smooth movements. This is such a compact and user friendly item. It’s light and easy to store or take with you. Your fitness equipment can go wherever you go. This is actually designed as a balance board you can use while working at a standing desk. This office balance board requires minimal movement but is very effective in getting your heart rate up and working off some tension while you go about your daily tasks. You can do this while you cook, watch TV or work. You can use this in the gym or while you work at a standing desk or counter. You can pick from one of four bright colors. The core balance board is ideal to use on carpet as it will slide on smooth surfaces. If you don’t want to wear out your carpet you can add a small mat to your equipment list. The multiple accessories also allow you to adjust the difficulty level to suit the user’s goals such as starting as a beginner with the rocker before advancing to the roller later on. Because the balance ball board is designed for gym use it’s built to gym equipment quality standards. The brand also provides an exercise manual so you’ll know you’re using the product correctly. Here’s another simple design that you can get at a great price. This is the type of exercise equipment that enables everyone to get fit. 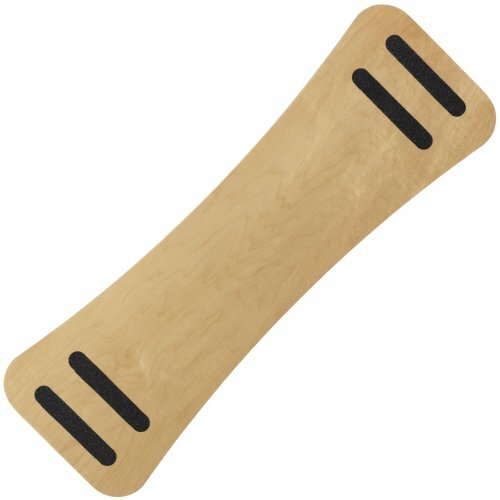 It’s made of wood and is quite light so it’s easy to position in the gym and then use it to enhance your standard exercises. On top you’ll find skid proof strips. It allows you to rock forward and back. Once you’re used to a certain position you can adjust the slant by shifting your weight forward. This will make it more challenging to regain balance. 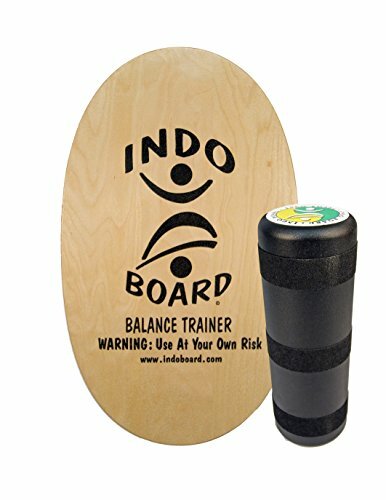 If your training should be about improving your stability and balance this is a board for you. Using it also brings strength and advances core muscles. The motivation behind the boards includes training but also prevention and rehabilitation. The core balance board is made of birch wood. On top the non-slip surface helps you gain control. It rests on a plastic roller. This design doesn’t have tracks but there are stoppers on the ends. Here’s another brand that provides instructions on a DVD so you can customize your training sessions according to the best features of the board. The name actually refers to using it ‘indoors’ but it won’t get damaged if you do use it outdoors. It’s just best to use it on a carpeted surface. This is one of the larger and heavier options on this list so it’s not very portable. 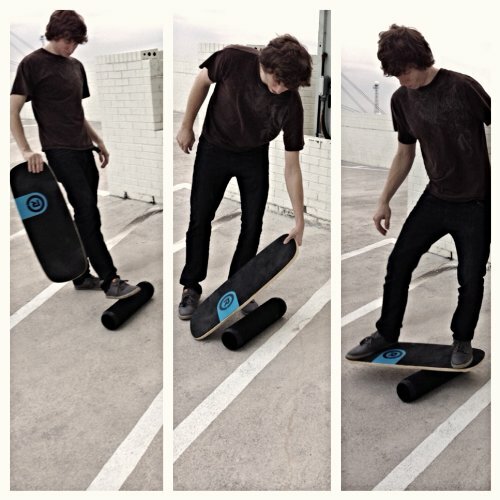 Here’s another simple balance board but it has quite nifty settings. You can adjust how far you want the board to be able to tilt by simply attaching the adaptor to the bottom of the fulcrum. This adaptor also has two different settings so you can tilt between 3” off the ground and 4”. Therefore you can adjust the difficulty level according to the user’s skill. The simple design makes it practical for advanced training but also to use while you work at a standing desk. It’s made of durable PVC and the edges are rounded to prevent your ankles from rolling when you’re standing on top. The more advanced you are the more wobble you should be able to handle. 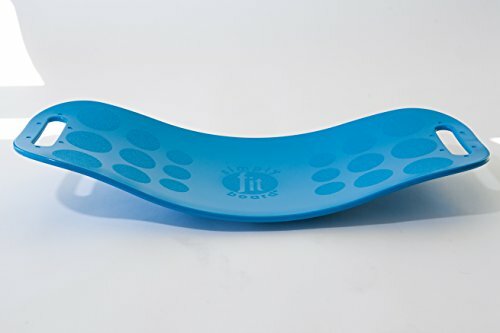 This has multiple uses as it’s also a sitting cushion when you want to rehabilitate or train certain muscles. Keeping your balance while perched on the small unit will exercise your core while you continue normal exercises. You can see there are quite a lot of options. Your challenge is to find the one most appropriate to your needs and preferences. We’ll help you understand a few aspects so you can make the right decision for you. Rocker boards that allow simple backwards and forwards movements. 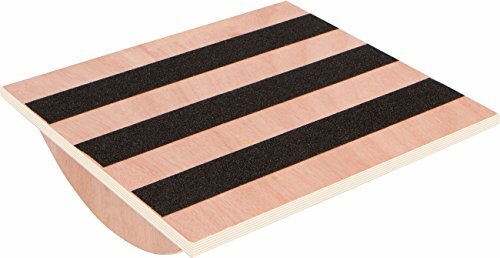 These are usually entry level balance boards. 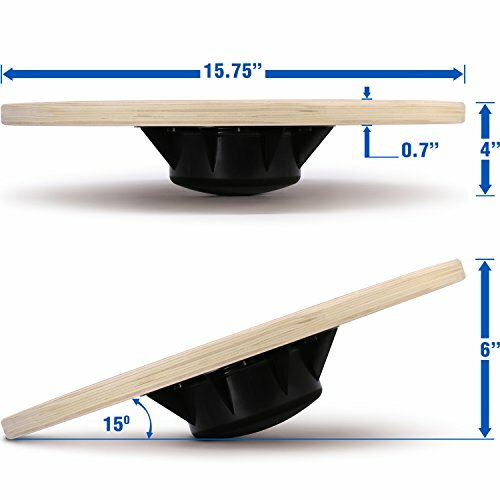 Wobble boards are more advanced and allow 360’ of movement. These boards are usually round with the fulcrum fixed below. Because they allow free movement you can try regular exercises on them and enhance your training sessions’ effects on your body. Rocker roller boards have fulcrums that aren’t attached. The board rolls over the fulcrum and you have to stay in control. Movements are usually from side to side with tracks and stoppers helping you manage the movement. Sphere and ring boards allow 360’ movement but the fulcrums aren’t attached and the fulcrums are usually made of rubber. This design can be quite challenging. When you pick your board size you need to think of who will use it. A board that is big enough for children may not be large enough for adults to fit both feet on. The size also determines how many and what type of exercises you can do on top. If you want to try squatting on a balance board you need quite a large surface. You don’t want to injure yourself because the board or the fulcrum breaks or buckles. Make sure the weight capacity - which should be stated clearly on packaging - allows you to use it safely. There’s no best option but you should think of how easy they are to clean and whether they’re durable enough to last you a long time. If you can find a balance board that’s accompanied by workout guidelines, it’s a bonus. This will help you use the board optimally. 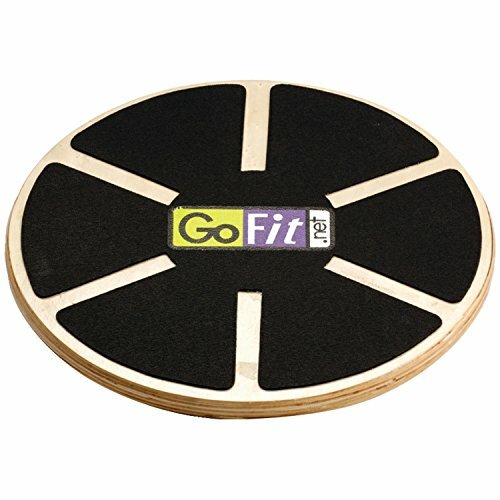 As a rule you can try most exercises you do in the gym on a board or at least a trainer pad (featured above). By adding the factor of keeping your balance you will work core muscles you didn’t activate by simply standing on firm ground. Can I use it on laminated flooring? You should always keep safety in mind when using a balance board. You’re already struggling to keep your balance and in an environment where you can easily get hurt - such as exercising on hard floors - you increase the risk of injury. Of course if you’re an expert you’ll be able to control it even on smooth surfaces such as laminate flooring. While some balance boards can work on laminated floors you should consider the marks they can leave. The boards with rollers work better on thin carpets. Does it work on carpet? Is the carpet so thick that it hampers the board’s functioning? For these reasons it’s ideal to purchase a small mat which you can place anywhere for floor protection and optimizing the use of your board. Can I use them with a standing desk at the office? 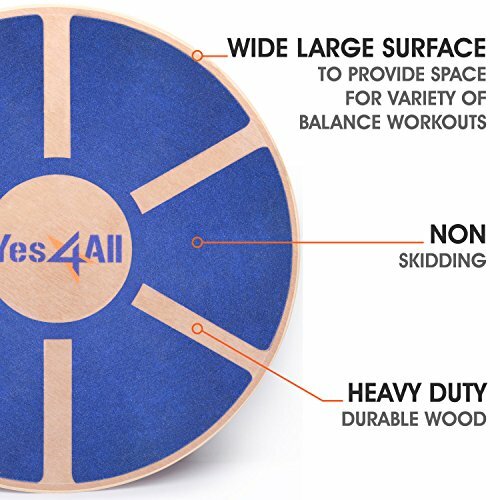 Many of these balance boards are motivated by trying to help individuals exercise while they work. The wobble and rocker boards are ideal to use at standing desks as they’re simple to use & easy to take to the office. You can use any of these boards while working as long as you have enough skill to balance without getting distracted from your work. The wobble and rocker boards are ideal because you can’t easily hurt yourself & they don’t make any sounds. The roller boards have accessories that may roll over the floor and cause a racket that will distract others. 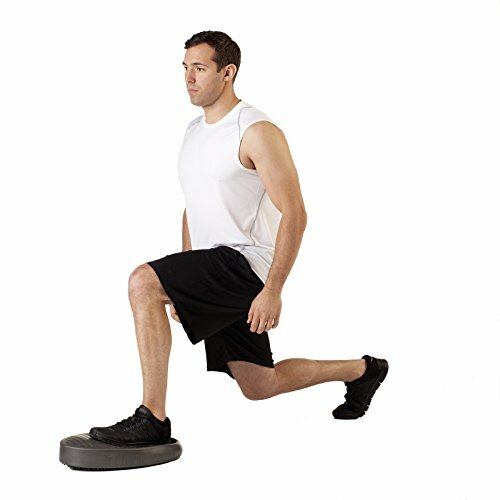 Is it good for improving ankle strength and stability? 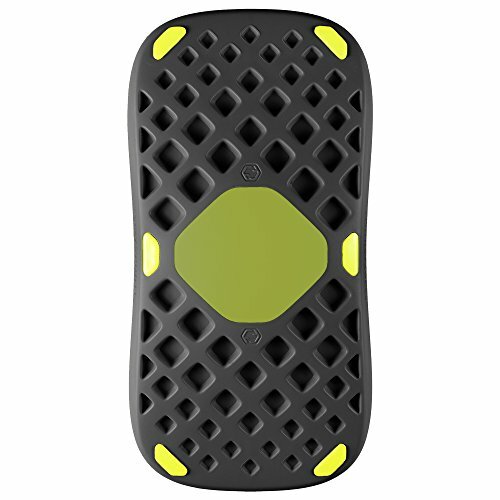 There are so many applications for these balance boards. Each bit of practice you give your muscles and joints improve their flexibility & make them stronger. As your ankles are some of the joints that respond to the movement of the balance board they will become stronger too. The next time you twist your ankle the damage may be less than you’ve experienced in the past. Indo Board vs Revolution Board - Is There a Winner? A winner? Not really. Both these products are of high quality. You need to decide which one meets your requirements. If you’re a beginner trying to enhance your balance you’ll love the Indo Board. 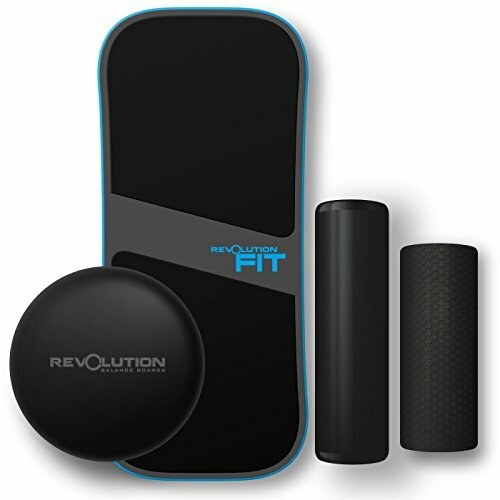 However, the Revolution Board set with its multiple accessories and applications make it possible to customize a rigorous training program for more advanced users. So what is your current goal when it comes to health and fitness? One of the best balance board options can be the way you enhance your training or simply start taking control of your health in general. Try and balance on one of these while you’re working & you’ll quickly see how the elevated heart rate and working your muscles improve your health. Aren’t you glad these devices turned into a popular trend?